If you’ve been working on your business for any length of time and you’re trying to build your business online, I’m guessing you’be probably heard that you need to build your email list. If you’re going to do anything online, right along side creating your website, you MUST start building your email list. You may also hear that you don’t need to build your email list, that social media can bring you all the leads and sales you could possibly manage. TRUTH? Not going to happen! In fact, in 2013 and 2104 95% (yes, 95%) of my income came directly from actions I took with my list. Not any action I took on social media or even my website. That’s it. 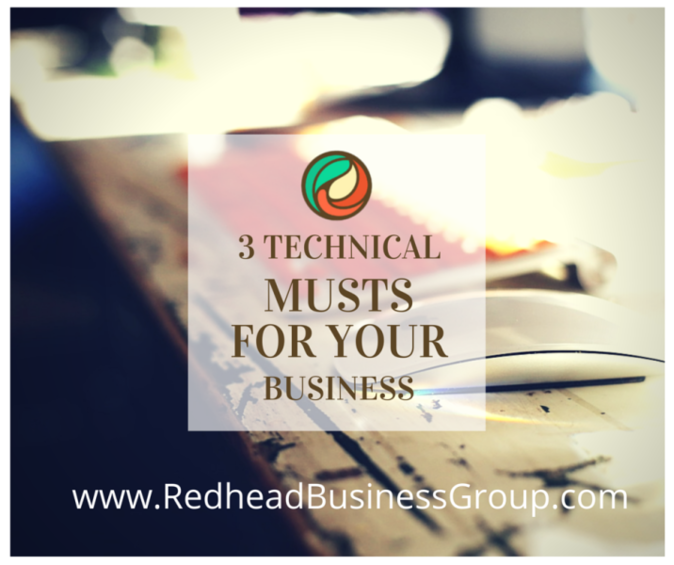 These are the three technical elements your business needs, then you build your content and marketing plan using those three. Everything else enhances the three and if you’re doing something that’s not directly related to helping build all three then it’s time to rethink what you’re doing. You see, if you don’t have somewhere to send people, then you don’t have a business online. That’s why you need a website and your website needs to be something that you have control over. Sure if you’re tight on funds go with one of the free services, likely Weebly or Wix, but when you can afford it (like $100 for the year), get yourself a WordPress site and get support to create it. Once you have your website, start collecting email addresses. When someone hands over their email address they are telling you that they appreciate what you have to offer and want to know more. They want to get personal. After you’ve built a bit of relationship they’re going to want to know how to buy from you & don’t think they won’t want to buy! Get them interested right away, how else are you going to make money and keep your dream business alive! So where does all the Facebook, Twitter, Pinterest, Instagram all fit in? It helps with building your reputation and spreading the word, so all your actions you take on social media should have a goal in mind that brings them back to your home base, you website and getting folks to join your list. So what’s stopping you from taking action? Hit me up in the comments and let me know.